Seen a great Google+ post that you want to be able to refer back to later? 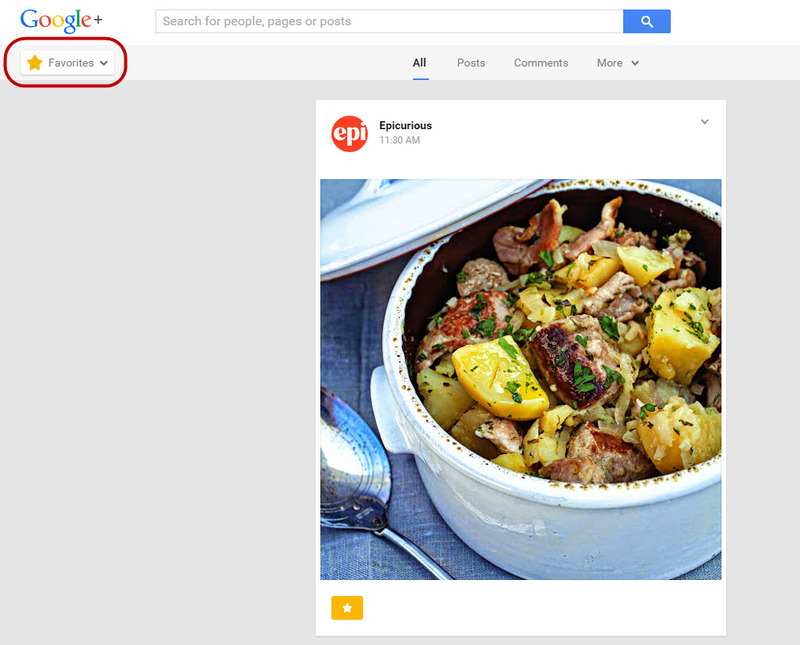 The Favourite Posts for Google+ extension makes this easy. Once the extension has been installed, you’ll have a new ‘favourite’ button visible on every post. Simply click the button to add a post to the favourites list, which is accessible from the Google+ menu. The Favourite Posts for Google+ Chrome extension is available here. Just click the Add to Chrome button to install it. When you find a post you want to save for later, simply click the Favourite button (with the star icon). To find posts you have favourited, click the Google+ menu button in the top left corner (it probably says Home) and select Favourites from the menu. Tip: If you don’t see the Favourite button or menu item after installing the extension, try restarting Google Chrome.